ST. GEORGE – Cancer survivors often exemplify courage and strength in the face of adversity. 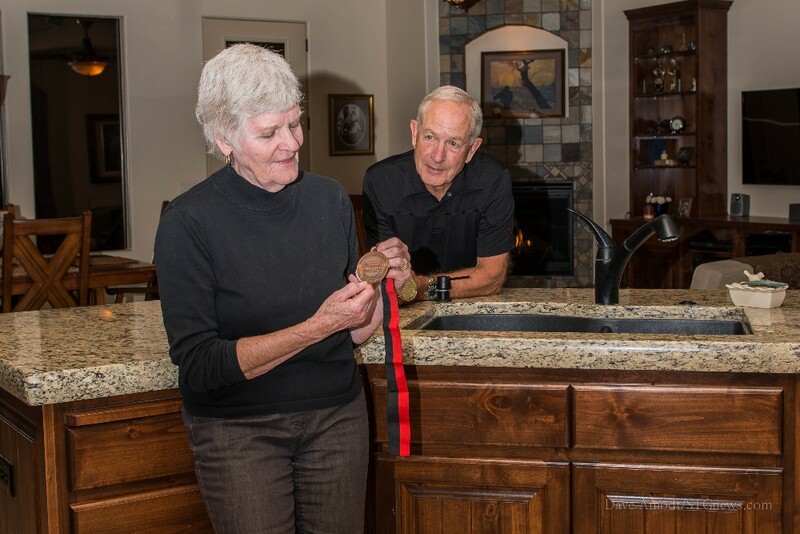 It takes a special person to battle through a life-threatening illness, compete in the Huntsman World Senior Games track and field competition only months later and win a bronze medal, then donate that medal to the doctors and nurses who helped make it possible. Ivins resident Jo’an Greenwood did just that. Jo’an Greenwood started running at age 11 after a teacher noticed her exceptional ability to sprint and jump. She was a successful track athlete through high school but mostly played softball as an adult, eventually returning to competitive running at the Illinois Senior Olympics in the 1990s. Her active lifestyle kept her in peak health. But she received the shock of her life on Jan. 14, 2013, when her doctor informed her that a routine mammogram had discovered a tumor. She had breast cancer. She immediately started an aggressive treatment plan of surgery, chemotherapy and radiation with medical oncologist Dr. Derrick Haslem of the Intermountain Southwest Regional Cancer Clinic in St. George. Established through a partnership between Intermountain Healthcare and the Huntsman Cancer Institute, the clinic combines top treatment methods with cutting-edge research. Then life threw her another curveball. Her husband, long distance cyclist John Greenwood, was hospitalized after suffering a stroke and underwent a carotid endarterectomy, a surgical procedure to reduce arterial blockage. Battling the debilitating symptoms of a life-threatening illness, caring for an invalid spouse while recovering from surgery, Jo’an Greenwood refused to give up. 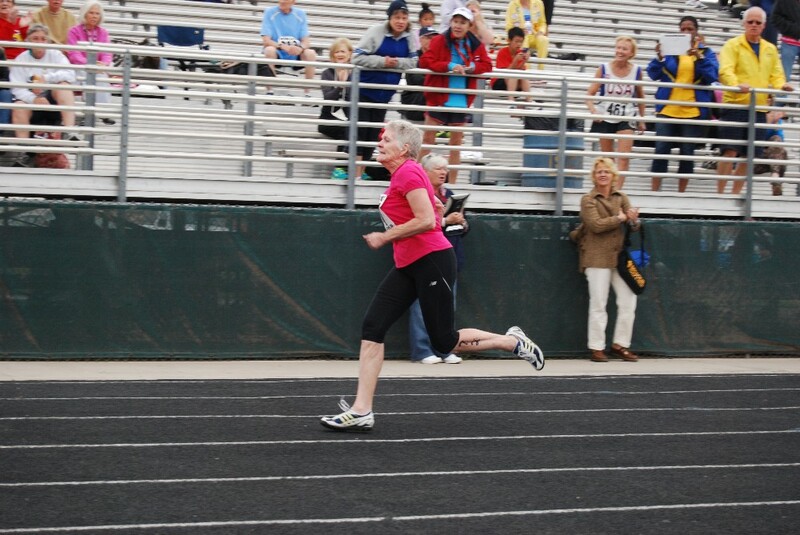 She set a goal: To overcome her cancer and get healthy enough to run in the 2013 Senior Games. She enrolled in a physical therapy program to stay in shape and jump-start the recovery process. When the Games arrived in October, she was feeling the pressure. The physical and emotional strain of battling cancer, the months of hard work to get back in shape, the promise she made to herself and her supporters at the clinic; it was the most important track meet of her life. 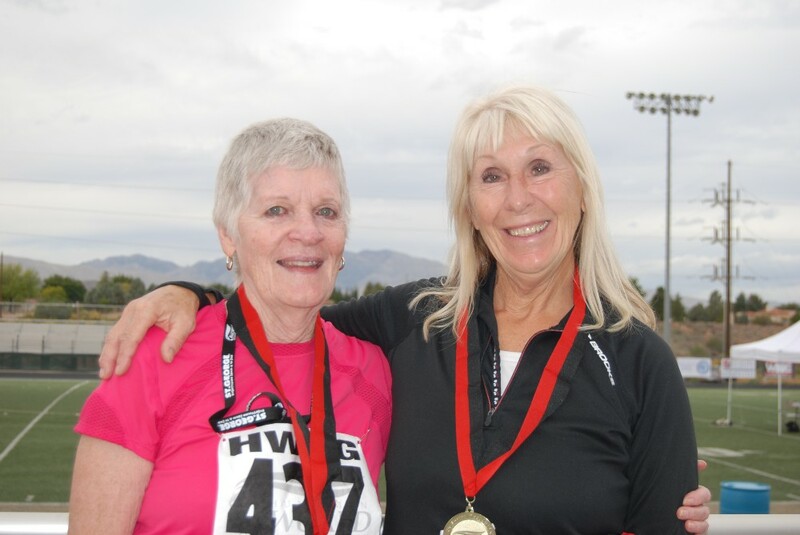 She entered two events, the 50-meter dash and 100-meter sprint, in the women’s 70+ division. Though she clocked a disappointing time in her first race, she was still excited and grateful to experience competitive running once again. At the start of the 100-meter sprint, Jo’an Greenwood prayed, simply asking for enough strength to finish the race. When she learned she had won the bronze medal, her emotions overflowed. While at the competition, the Greenwoods formed a bond with Marg Radcliffe, an athlete from Canada who recently lost her sister to cancer. After winning the 100-meter sprint, Radcliffe gave her gold medal to Jo’an Greenwood with the request that it be donated to the cancer clinic as well. 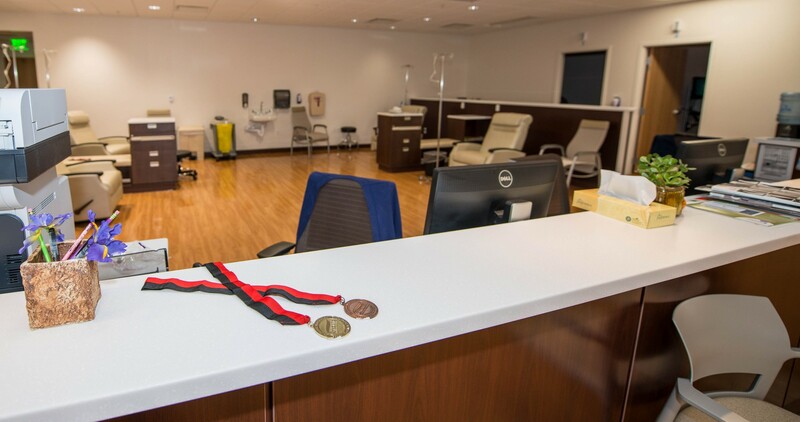 Today, their medals hang in the main office as a tribute to all who have been claimed by the disease, those who have survived and those who continue to fight.